To anyone that owns a Precision Hearthware Coffee Roaster, the thought of writing a tutorial on using it will seem ridiculous. Using the Hearthware is so simple a caveman could figure out the basics. This is a tutorial written for those coffee fans that haven’t started home roasting yet or those already roasting that know little about the Hearthware. In another INeedCoffee tutorial, we showed you how to roast coffee using a popcorn popper. If using a popper is as easy as making spaghetti, then using the Hearthware Precision is as simple as using a toaster. Are you ready to see how simple it is to make the best coffee of your life from your own home? The most difficult part of indoor roasting is disabling the smoke detector. Roasting coffee will produce smoke. Dark roasts even more so. 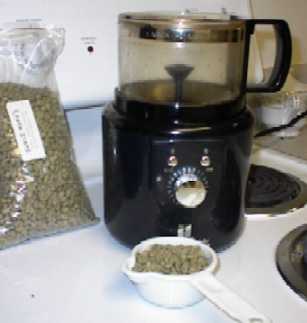 Since the mission here is not to test your smoke detector and kitchen ventilation, but to roast coffee, you will want to disable the smoke detector prior to roasting. The machine comes with its own 1/2 cup scoop. Fill up the scoop and pour the beans into the machine. The roaster only has three controls on it. 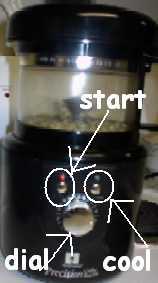 One is to start, which is called “Roast”. One is to end, it is titled “Cool”. The third control is a dial that goes from 1 to 10. This will indicate the level of roasting. The higher the number the longer the roast, the darker the beans will get. 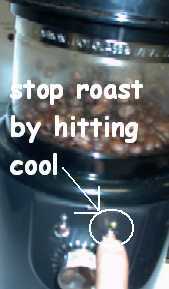 Using the “Cool” stop will always stop a roast regardless of how high you set the roast setting dial. My advice for the beginner is to set the dial to 8 and use the “Cool” button to stop the roast when it hits the level you desire. Be forewarned, if you don’t hit “Cool” it will roast approximately 1.5 minutes longer than the dial setting. As you get more experience with different types of beans, you will start using the dial to control the roast. To start the roast, hit “Roast”. Even though this machine doesn’t require “hands on” attention, you will get the best results by monitoring the progress of each roast. When monitoring the roast you will hear the “first crack”, and if roasted long enough the “second crack”. How long should you roast a bean? This depends upon your personal taste, but if you are open to all levels of roasting, consulting a cuppers review is a great idea. Using the cupper’s advice is optional. A cupper is a coffee professional that is trained to taste and report the distinctions of each coffee. A cupper will dissect a crop of beans and find it’s strengths and then advise a roasting level that will best compliment that bean. For example, Brazil Santos tastes great as a Full City or Vienna Roast, whereas you would roast Hawaiian Kona lighter. I get all my cupping reviews from Sweet Maria’s. Their green bean page links directly to each crop’s cupping review. The bean roasted in this tutorial is Costa Rican Tarrazu La Minita. For this bean, Sweet Maria’s advises that it should be roasted: “… through first crack and NOT into or even to the first snap of 2nd crack. That’s where it is at its peak! “. After the dial expires or the “Cool” button is hit, the roaster will go through a cool cycle. This will take approximately as long as the roast itself. 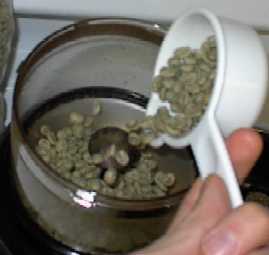 Once that has completed, pour the beans into your storage container. They will be ready for brewing in about 12-24 hours after they have had a chance to degas. Resist the urge to brew immediately. The last step is to clean out the chaff collector (the lid). Precision provides a small toothbrush for cleaning out the chaff that collected during the roasting process. Brush away the chaff. This is a helluva a lot easier than cleaning the George Foreman Grill after cooking salmon! Don’t forget to get your smoke detector operational again after you’re finished roasting and the smoke has cleared. Buying the Hearthware Precision Coffee Roaster is the greatest purchase I’ve ever made. The coffee I’m producing at home is on par or superior to the best commercial roasters. If the $130 price tag scares some consumers off, note that this machine will pay for itself. 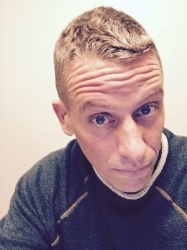 Personally, I drink 1 pound a coffee a week. If green beans average $5 a pound and commercially roasted coffee averages $10 a pound then it will take 26 weeks for machine to pay for itself. The popcorn popper solution is still the cheapest, but if you are like me, living in a cold winter environment, then having an indoor roaster like the Precision is a real treat.